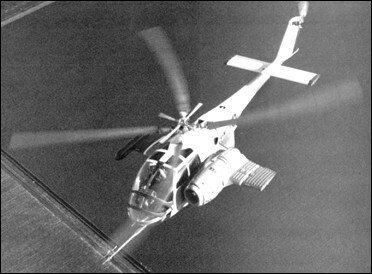 The XH-51A's quite impressive performance significantly improved, however, following the second prototype's 1964 conversion into a compound rotorcraft. The conversion of 151263 included the addition of a pod-mounted Pratt & Whitney J60 turbojet engine, short stub wings fixed to the lower fuselage sides, an enlarged horizontal stabilizer, and other detail changes. The reworked XH-51A Compound made its first flight in September 1964, and in June 1967 set an unofficial helicopter world speed record of 487kph. The XH-51A and XH-51A Compound were extremely valuable technology testbeds, and many of the systems pioneered or refined in these aircraft were later incorporated in such advanced helicopters as the AH-56A Cheyenne. The XH-51As themselves were finally retired from service only in the late 1960s. 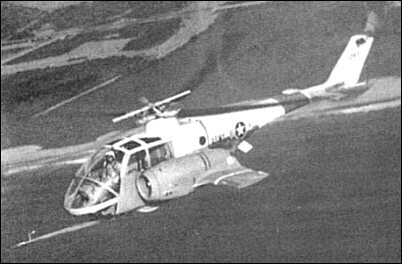 The US Army funded the modification of the second XH-51A as a compound helicopter with mid-mounted 5.18m-span wing and a 1,315kg thrust Pratt & Whitney J60-P-2 turbojet on the port side of the fuselage. These modifications resulted in an increase in gross weight from 1,860 to 2,041kg. First flown in September 1964 without its turbojet, the XH-51A Compound reached a speed of 438km/h in May 1965 after its J60 had been installed. Its performance envelope was then progressively expanded until 29 June 1967, when it set an unofficial speed record for its class of 486.9km/h. Both this compound helicopter and the original XH-51A are now preserved in the collection of the US Army Aviation Museum at Fort Rucker, Alabama. The pilot who did all the testing on the XH-51A was Don Segner. At one point he was the President on the Experimantal Test Pilot Assoc. (SETP). Never heard of j t rinelli. See comments in XH-51 tab. Both models at Ft Rucker, status unknown. Fort Rucker Alabama Museum had one. I painted it in 1977. No Pual E Williams Did not design this Helicopter, Lockheed Did. Did he maintain the patent? and Patents are for a defined period of time, Saw Mr Williams papers Differant configuration, Sorry.